Like the rest of his teammates, Stephen Weatherly said he was “shocked” on Saturday when he heard the Vikings were releasing Brian Robison. 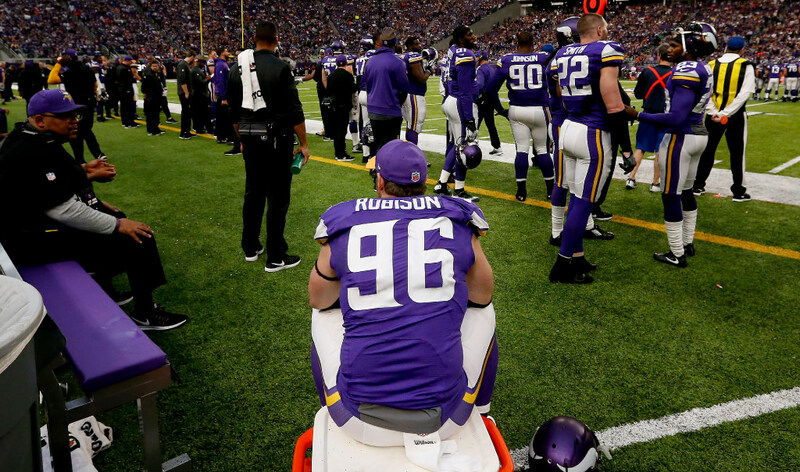 The reality of the NFL is an ascension like the 24-year-old Weatherly’s, who had 1.5 sacks in the preseason en route to earning playing time this fall, added to the reasons why Robison became expendable to the Vikings. But Weatherly, a former seventh-round pick, said he owes just about all of it to Robison. “Honestly, everything,” Weatherly recalled in a phone interview this weekend. Seventh rounders like Weatherly are barely given the job security assumed by NFL draft picks. So when he arrived to Minnesota in 2016, he faced an uphill climb about as steep as anybody on the roster. Robison, then 33 years old, was immediately there, Weatherly said, even though he was the latest young defensive end to threaten Robison’s own job security. Just as Robison did with other teammates, he took Weatherly under his wing. He pulled Weatherly aside at practices, helping him through the basics, “from my steps, to my hand placement, my eyes, really how to practice and perform as a professional every day,” Weatherly said. When things didn’t go Weatherly’s way, Robison was still there. What made Robison, a hand-picked team captain by head coach Mike Zimmer, a special mentor was how he treated people away from the field. Earlier into his 11 seasons with the Vikings, Robison started a bible study group at his Twin Cities home where he made an open invitation to all positions groups. Weatherly became one of the 15 or so regulars who would drive to Robison’s house during the season, taking time away from Winter Park to discuss scripture and life. Players got to know Jayme, Brian’s wife of the past decade, and the couple’s two children. Bonds formed that meant more than football, even when the discussion eventually turned back to the field.